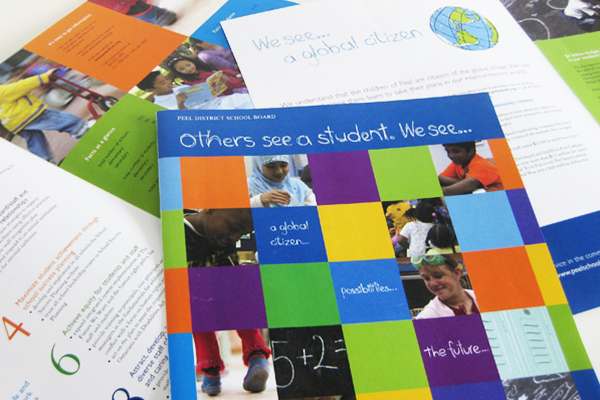 Using illustrations, scribble style fonts and full colour images, this annual report was optimistic, bold, and colourful. 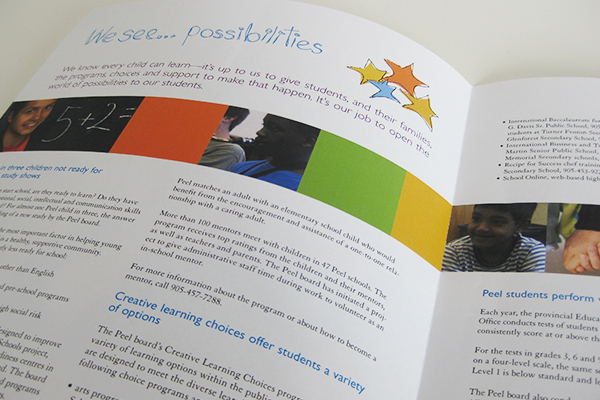 It had a very clear school-like feel, and worked within the existing Peel District School Board brand. Images focused on school children, and reflected the diversity of the communities. 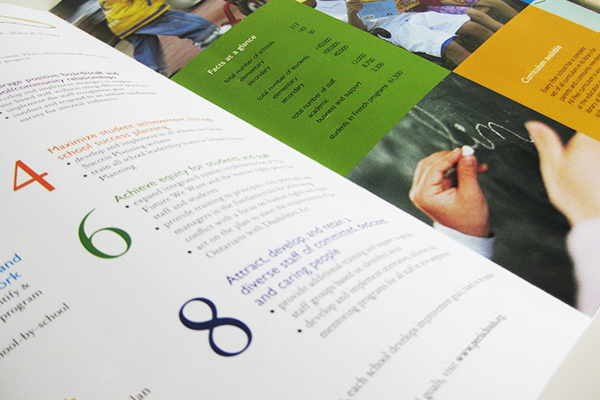 The report highlighted areas used school-like elements such as enlarged numbers, and hand-drawn borders to keep attention throughout the report. Click the link to see another Peel District School Board design project.